Sometimes the best comedy is made by people who are not trying to be funny. At least, that’s what I discovered when I was accused of emulating the Nazis. 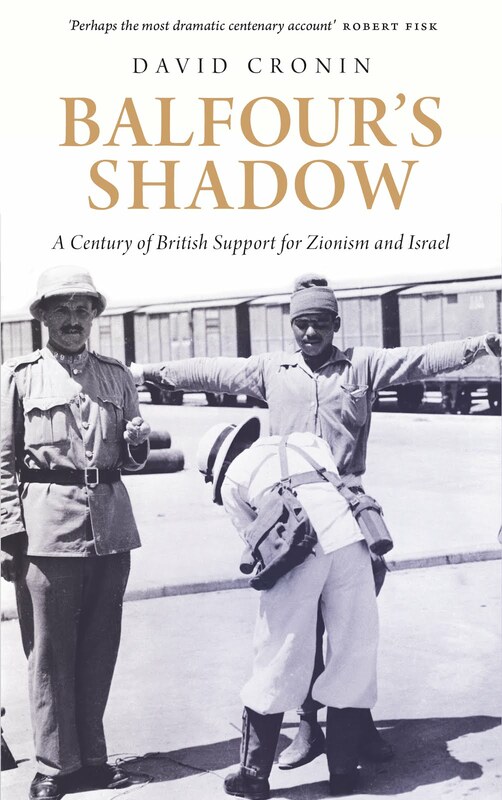 During a recent tour of Britain and Ireland to promote my book Europe’s Alliance With Israel: Aiding the Occupation, I heard that the Simon Wiesenthal Centre, a Zionist lobby group, had filed a complaint about me with the Dublin government. The centre had asked Brian Cowen, the Taoiseach (Irish prime minister), to publicly condemn me and my hosts, the Ireland Palestine Solidarity Campaign. Daring to criticise Israel at a time when Ireland’s own economy was collapsing was “sadly reminiscent of financial scapegoating” in 1930s Germany, Shimon Samuels, the centre’s director for international relations, alleged. With equal absurdity, Samuels claimed that the cover of my book carried a “subliminal message” because it depicted a map of Europe beside a Star of David. Although Samuels did not spell out what subliminal message the cover sought to convey, he intimated that the artwork fitted the EU’s own definition of anti-Semitism. I didn’t design the cover in question but I did authorise it. Had I thought for one second that it was intended to incite hostility towards Jews, I would have exercised my author’s prerogative by rejecting it. If the Simon Wiesenthal Centre actually bothered to read my book, it would know that I don’t have an anti-Semitic bone in my body. The book is focused on the EU’s complicity in crimes perpetrated by the state of Israel against the Palestinians (who also happen to be Semites) and does not contain a single word directed against Jews as a people. As well as making it clear that I despise all forms of discrimination based on religion, race, gender or sexual orientation, the book stresses my admiration for the significant number of Jews brave enough to tell Israel that it does not act in their name. The Simon Wiesenthal Centre would probably categorise those Jews as “self-hating”; I regard them as humane and heroic. It would be comforting if all missives by the centre and other pro-Israel zealots could be written off as being of no consequence. Yet the truth is that our politicians and civil servants are usually too puny to stand up to their bullying. Perhaps the clearest manifestation of the centre’s influence came after the results of a 2003 survey conducted by the EU’s polling unit Eurobarometer became public knowledge. When a sample of 7,500 Europeans were asked which country posed the biggest threat to world peace, a majority – 59% - chose Israel. The Simon Wiesenthal Centre responded by urging that the EU be excluded from the so-called peace process in the Middle East and by claiming it was a “racist flight of fancy” to deem Israel as more bellicose than North Korea or Iran. Instead of commending their citizens for being perceptive enough to realise that a country with a nuclear arsenal and an addiction to war (Israel) is more destabilising than does not yet possess nuclear weapons (Iran), senior EU representatives allowed themselves be persuaded that being a critic of Israel automatically made one a Jew-hater. Over the following two years, the EU’s Monitoring Centre on Racism and Xenophobia (EUMC) in Vienna – subsequently renamed the Fundamental Rights Agency – drew up the aforementioned definition of anti-Semitism. This was in no way a scientific exercise; rather than trying to examine the surrounding issues impartially, the EUMC allowed the definition to be dictated by lobby groups that consistently defend Israel no matter what cruelty it metes out to the Palestinians. An EUMC paper indicated plainly that the work was guided by the American Jewish Committee and the European Jewish Congress. The definition that they successfully advocated was worded in such a way that anyone who called out the true nature of Israel’s crimes could be smeared with accusations of anti-Semitism. Describing the establishment of Israel as a “racist endeavour” or drawing parallels between the Israeli state and the Nazis were among the examples given for what should be considered as anti-Semitism. (That Israel was founded on racism – and remains so – is simply a statement of fact; this was confirmed once again lately when 50 of Israel’s leading rabbis, many of them state-employed, instructed Jews not to rent property to Arabs). The Fundamental Rights Agency continues to view partisan lobbyists as sober analysts. In its latest report on anti-Semitism in Europe – published in April - the agency copies and pastes the findings of such organisations as the Information and Documentation Centre Israel (CIDI) in the Netherlands and the Anti-Defamation League in New York. The “study” also suggests that Europe’s far-left and many Muslims have tested positive for the “new anti-Semitism” since the Palestinian uprising, or intifada, began in 2000. The absence of supporting evidence for that suggestion displays how much the agency’s views continue to be shaped by a pro-Israel lobby that seeks to muzzle condemnations of Israel’s crimes against humanity by accusing activists of hating Jews in a “new” way. When I asked a spokeswoman for the agency why it lent so much credence to the statements of one-sided lobbyists, she said that her colleagues “don’t voice any political position”. One of the many troubling aspects of this state of affairs is that Israel’s most ardent supporters appear to have no interest in tackling genuine anti-Semitism. Research undertaken by the Community Security Trust found that 2009 was the worst year for anti-Semitic incidents in Britain since it began keeping records in 1984. It is no coincidence that 2009 kicked off with Israel’s murderous attacks on Gaza. This offers no excuse to anyone who vented their frustration with those crimes by vilifying innocent Jews but it does offer an explanation. Anti-Semitism is not studied as rigorously and carefully as it ought to be. However, the data available to us leads to an inescapable conclusion: the state of Israel must shoulder a large degree of blame for any ill-feeling that Jews have to endure. The problem is surely compounded by how Israel’s supporters are refusing to address it honestly and thereby making it worse.